Posted byshashank July 5, 2009 April 13, 2019 Leave a comment on Iphone 3G S is it really that good, covering the good and the bad about it . Iphone 3G S is launched and “S” stands for speed, Apple says this is the fastest Iphone with new software and hardware improvements. Shankee puts a hand on Iphone and tell you is it really that good or just a too much hyped about. The new Iphone has a 3 Megapixel camera and as Apple says that now you can shoot videos. Hey but there area already software and hacks that just let you capture video shots from your old iphone. The camera is improved but when you want to have a great photo you always need flash as more than half of the day you spend being in dark places. And when we compare Iphone with Nokia’s phone the Iphone’s camera looks like of adam’s era. Nokia’s N95 got 5 Mega pixel, optical zoom and much more that i would expect from a camera phone. • Just tap to autofocus on anything showing on the screen’s camera viewer window. • It has auto-focus, auto exposure and auto white balance. • It lets you directly edit video just with a tap of finger, cut them send them as MMS or upload to Youtube. They now provide Internet tethering, means now you can share the fast internet on your iphone with devices around you. • Share the 3G via wifi – This feature is quite awesome it makes your iphone like a wifi hub and lets you surf the net on your mac or PC using the wifi link from the Iphone. • Connect via Bluetooth – Connect to other devices via bluetooth so they can use the Internet services provided through Iphone. • Via USB – Iphone can be connected to any PC or mac with a USB cable that comes alongwith it. 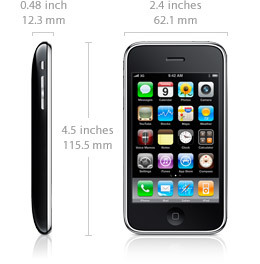 Iphone 3G S has the same size and shape as the previous Iphone 3G and the screen resolution is same as well. So there is nothing much to say about it. 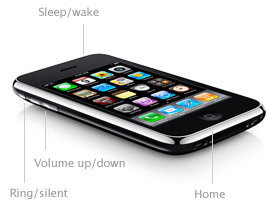 The new amazing feature with the Iphone 3G is the improved battery life. Now you can talk for 5 hours on 3G network and that gets extended to 12 hours if you use a 2G network. On 3G, it will deliver 5 hours of internet use.On Wi-Fi, Internet goes up to 9 hours. Compass- Iphone comes with an inbuilt magnet sensor that works as an digital compass. 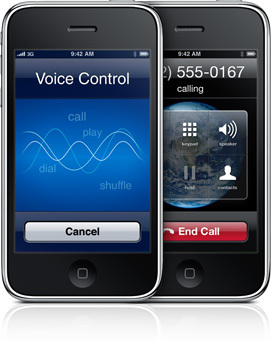 Voice Control- Now you can control a lot of stuff just by asking you Iphone to do it. Like calling names to make a phone call and much more. Cut, Copy and Paste- Yes it is officially available, now you don’t have to go search the Internet for some hacks. Now you can Cut, Copy and Paste content on you Iphone. Nike+Ipod – Now workout while listening music, Iphone has built in Nike support that counts your calories and helps you lose those extra pounds while grooving to the music with bulit in Ipod. The worst thing about Iphone is that is comes with a contract, so why would i wish to change my phone no. at all. And that keeps many users like me from buying an Iphone at all. 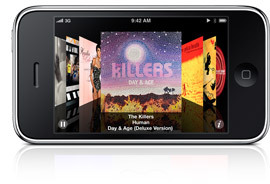 In India Iphone would be available on Bharti Airtel and Vodafone soon. 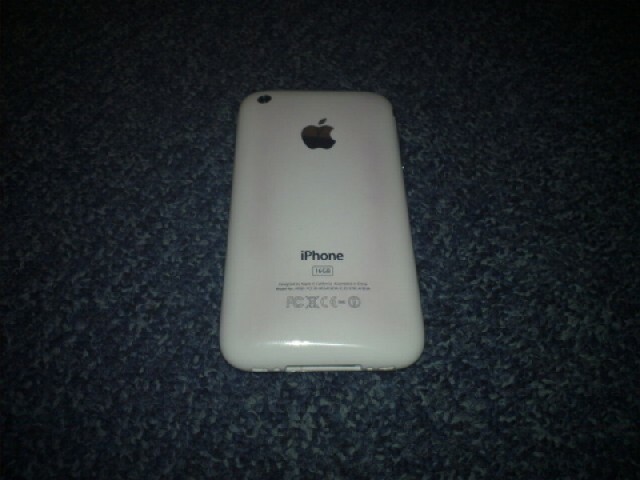 The Iphone 3G S costs $199 for 16GB and $299 for 32 GB in USA but thats when you sign a two year contract with AT&T. So we beleive as the prices have been reduced so it would be available for around Rs 25,000 to Rs 26,000 in India as against the Iphone 3G which was priced at Rs 31,000. It is rumored that some Iphone handsets became really very hot. So hot that some brown freckles could be seen on the metallic body. But this is not confirmed yet.